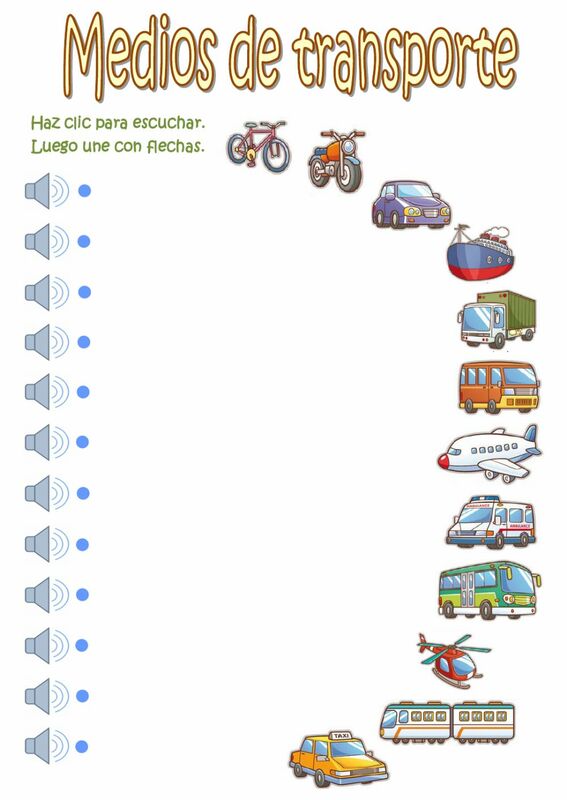 Ficha para practicar vocabulario relacionado con los medios de transporte. Hay que escuchar y unir con flechas. Copyright 9/13/2017 Víctor Gayol. Publication or redistribution of any part of this document is forbidden without authorization of the copyright owner.